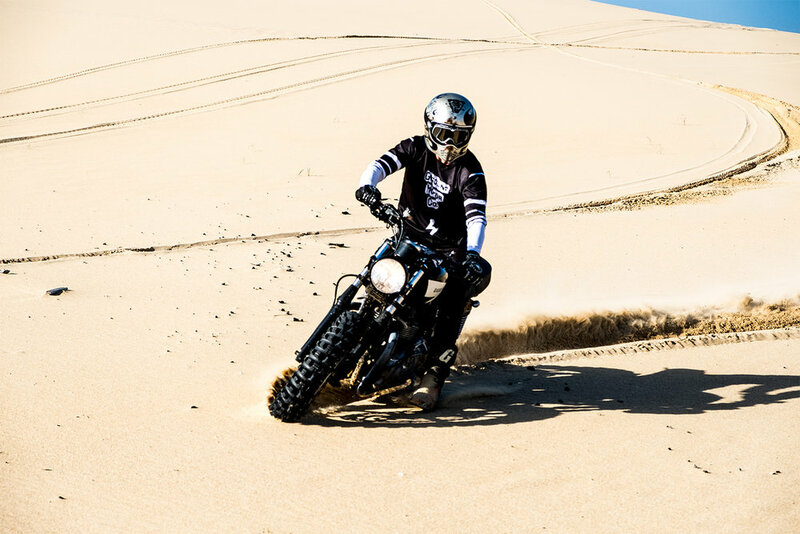 A ripper of a weekend, doing what we do: Building custom bikes and pushing them to their limits. 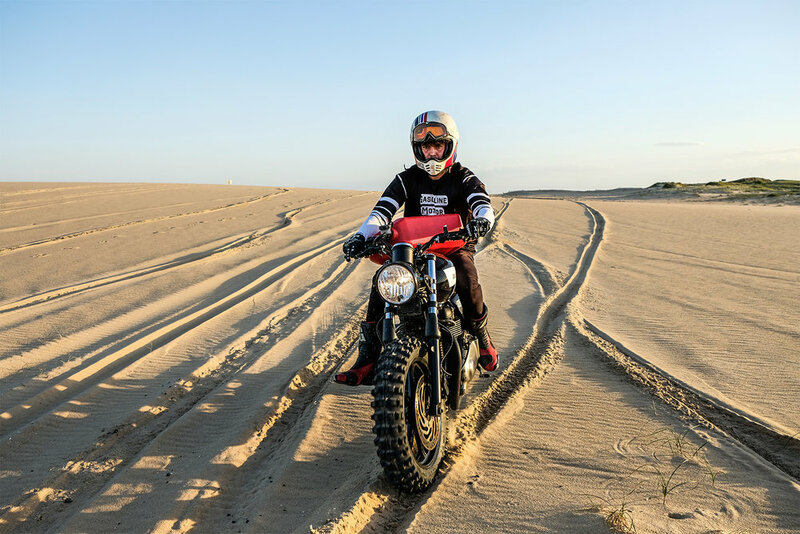 This time, two Triumph Bonneville Scramblers and endless sand dunes to rip up. 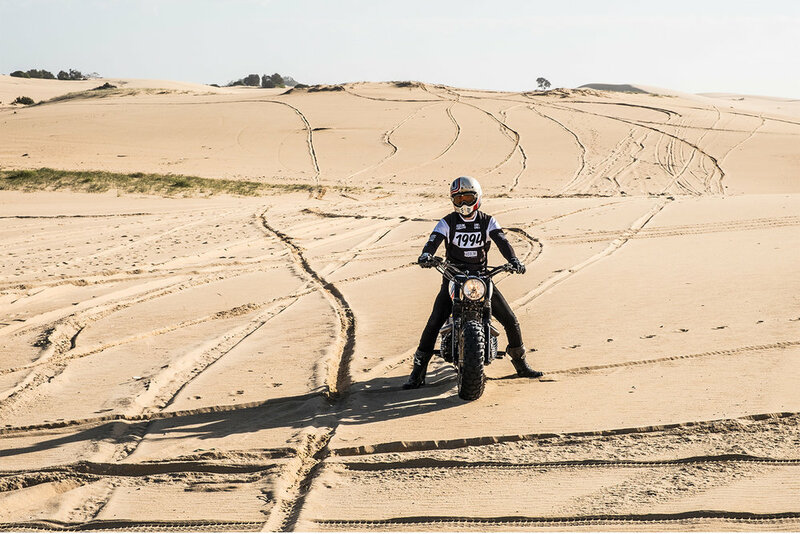 The challenge was mostly due to the softer-than-expected sand against the weight of the classic road bikes – the trick was to stay fast, just skimming the surface of the sand. Good friends, unruly energy and magical sunsets. Two wheels for life. 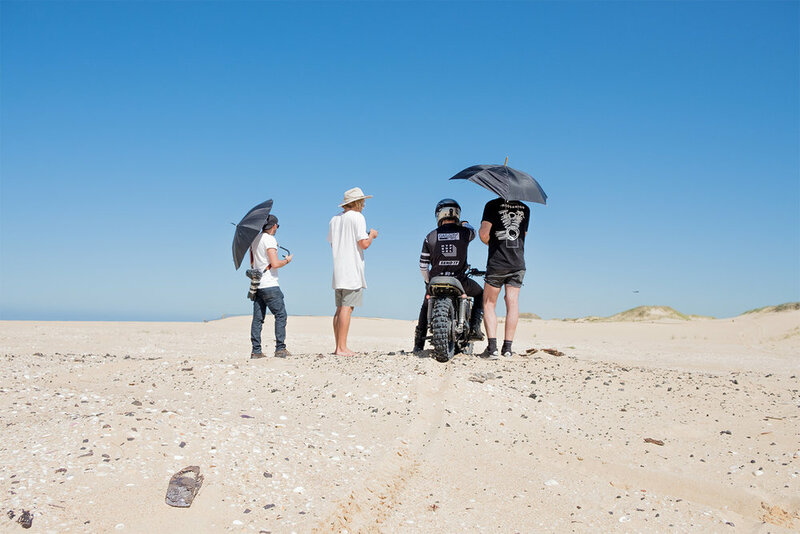 Here’s some bts snaps; watch this space for pro photos and video production coming soon. Follow @gasolinemotorco on Instagram for more photos and the full video coming sooN! 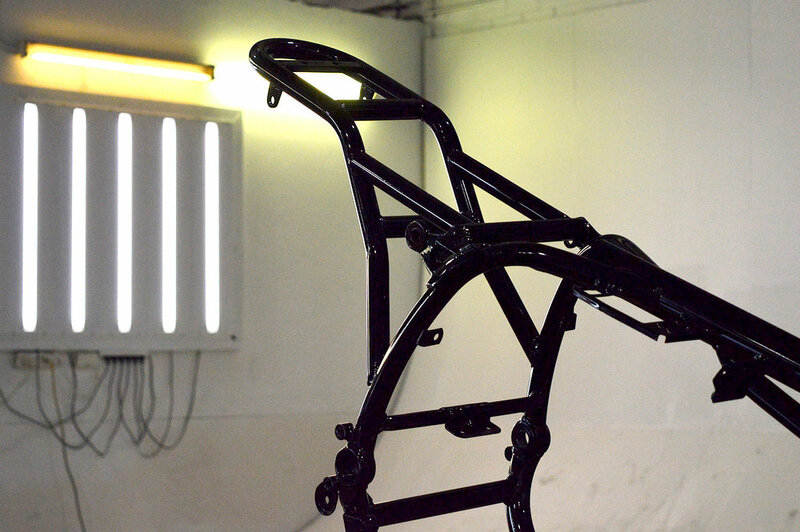 Oh, is that a freshly powder-coated frame, with a custom designed rear hoop? Dam straight. Freshly Vapor(hydro)-Blasted engine casings along with a ton of powder coating, we are ready to assemble the engine and wheel components. A semi-assembled skeleton – standing on a set of vintage Shinko tyres. Using the most innovative gear available on the market for a modern ride. Berringer brake system, custom made cabling, Purpose Built Moto headlight, Moto Gadget speedometer and switch components and last but not least, a Kellermann indicator lighting package. Don't miss this years Machine Show in Braidwood. 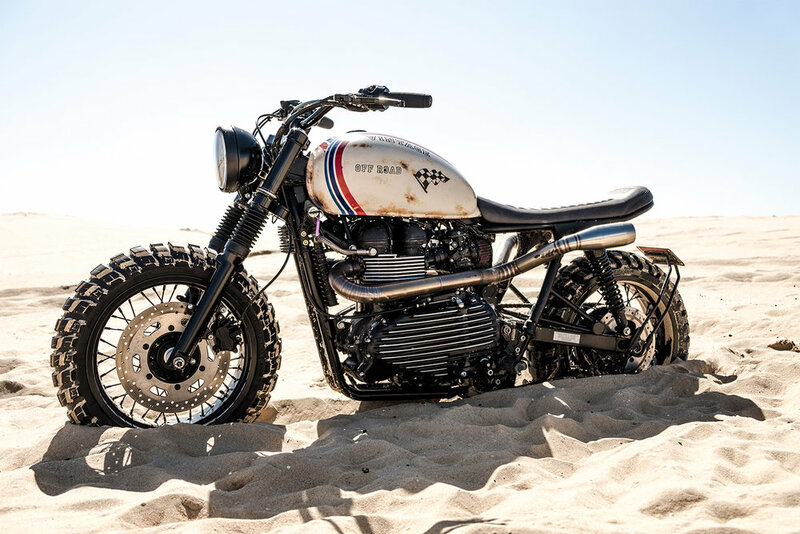 This motorcycle, along with 20 other pre-1989s era machines will be in the running for the Machine Show build competition. 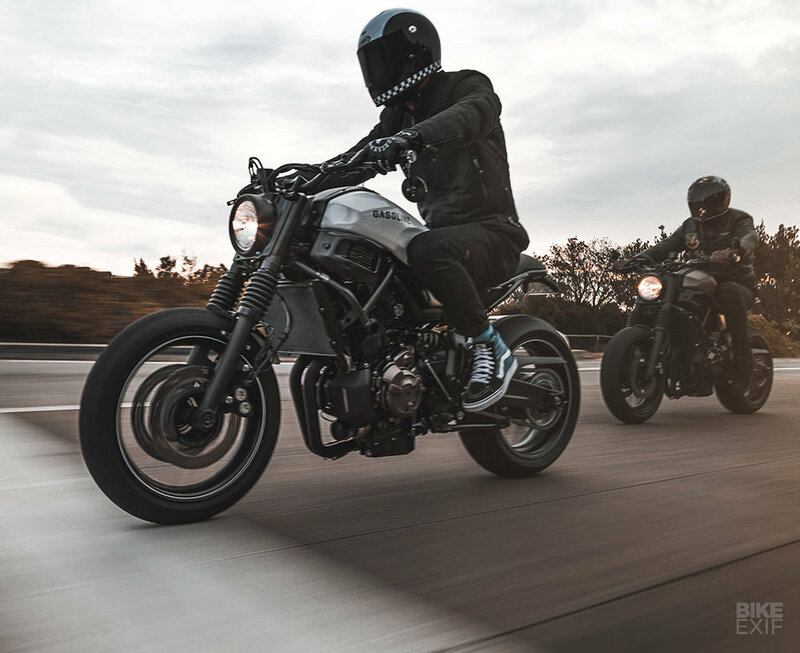 What started as a friendly rivalry between motorcycle builders around town, has, over 3 years, grown into a great motorcycling community get-together. 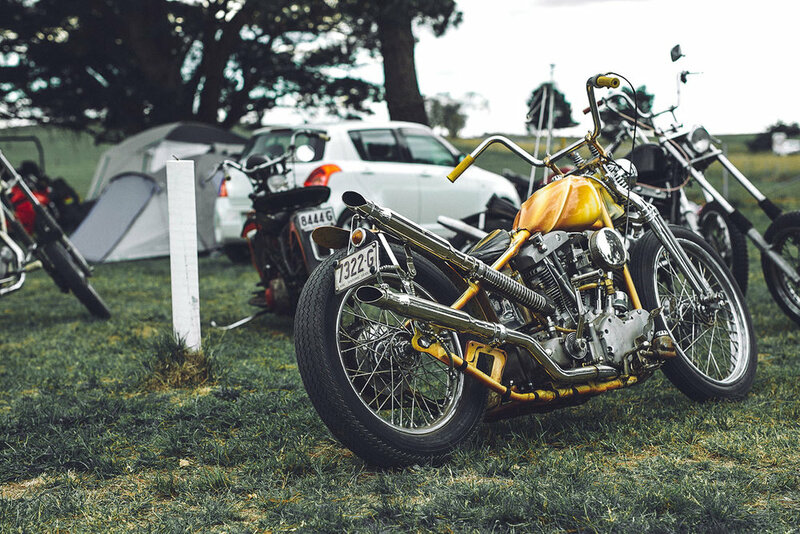 Everyone is invited along for the ride down to Braidwood – a weekend of camping, live music, food trucks and booze. 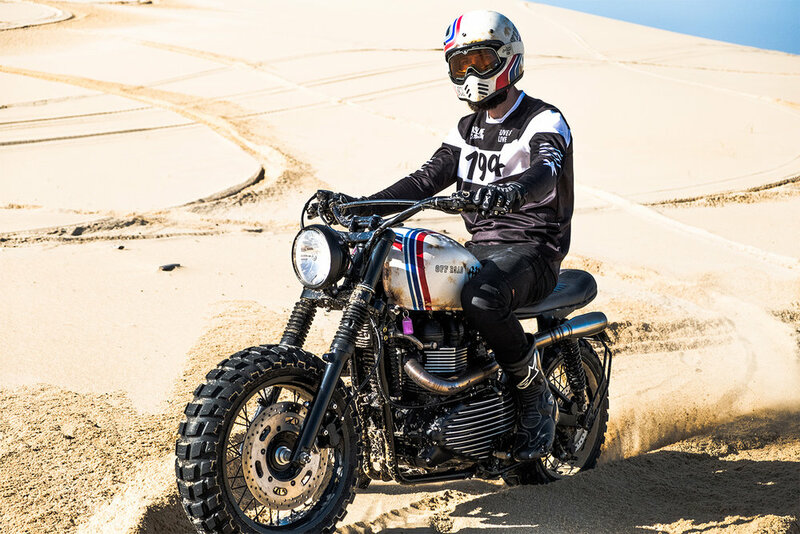 Gasoline Motor Co. build the '2Shot' was recently featured on Mens style blog Man of Many, with a solid write up focusing on the build and process of our ever poplar custom built motorcycle. The frame has had its share of modifications, with the subframe getting most attention. It's been detabbed and streamlined within an inch of it's life.. It's back from paint now and is a perfectly glossy shade of black. Hopefully not long until the engine can go in and you can really get an idea of how streamlined it is. We're a decent way along now with our BMW custom build for the annual Machine Show Build Comp 2019. It's slowly getting worked on as parts arrive back from being painted and powder coated. Drool over these photos for now and soon it'll be ready to re-assembly! Ride Sunday is a global movement - it unites people who ride to support a charity and create positive change. All over the world, motorcyclists will ride for a cause on June 3rd, 2018. Team Gasoline will be fundraising and riding for Cure Cancer Australia. Join our ride. Join us in raising awareness for Cure Cancer - our team donations will support emerging talented scientists towards innovative cancer research. Unfortunately, everyone knows someone who has been affected by cancer – Gasoline has chosen to support a cause that is prevalent and relevant within our community. We have set up a registered ride you can be a part of. WHO WILL BE RIDING WITH US? The staff at Gasoline will be heading up the ride, and we want you to join us. It will be a great chance to see all your motorcycles and scooters on the road together. Come solo, or with a friend, everyone is welcome. Just register to ride, join the team and we’ll see you on Sunday morning for the ride! Team Gasoline has mapped out a cruisey ride up North to Palm Beach from the warehouse. This will be a fairly easy ride for all levels. After a coffee stop, we will head back to Gasoline, and you can peel off from the group where you please. Support the cause Team Gasoline have a 1000kms target and a $5000 fundraising target set, so the more the merrier. If you can’t join us on Sunday 3rd June, you can still donate to our team. Want to stay updated on future rides? 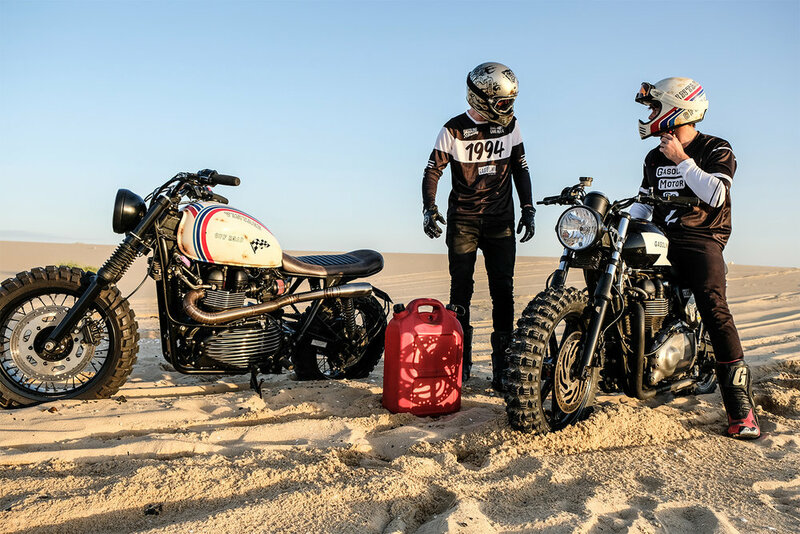 Submit your email below to our Gas Riders list and we'll get in touch whenever we have a ride coming up. We made the annual pilgrimage to Braidwood for the 2nd Annual Machine Show this year and had a blast! Massive thanks to Matt Machine and all the crew for putting on an awesome weekend full of good rides, awesome people and solid memories! See y'all at the next one! 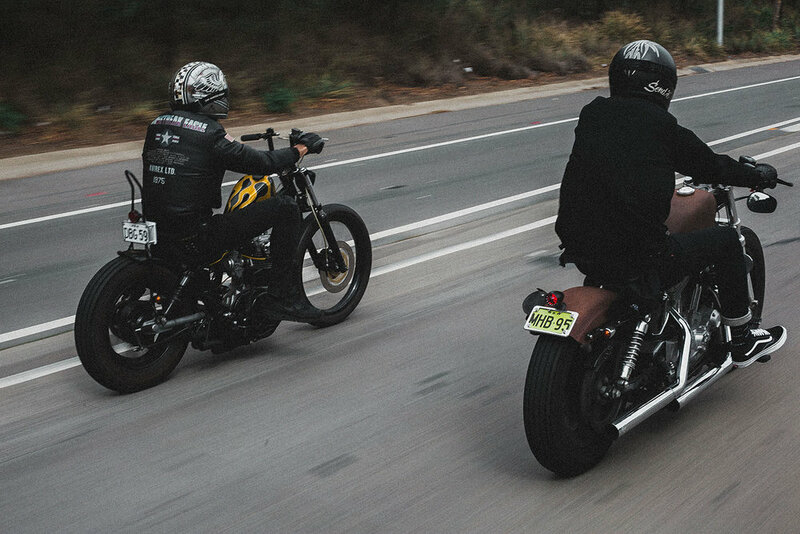 Check out some photos from our mates Jasper and Ian of the ride and all the cool machines on show.